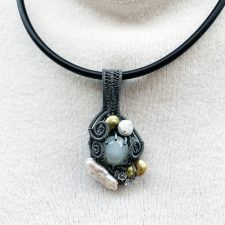 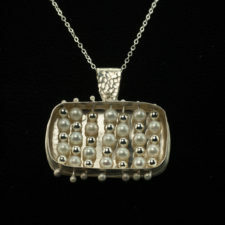 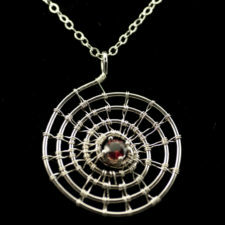 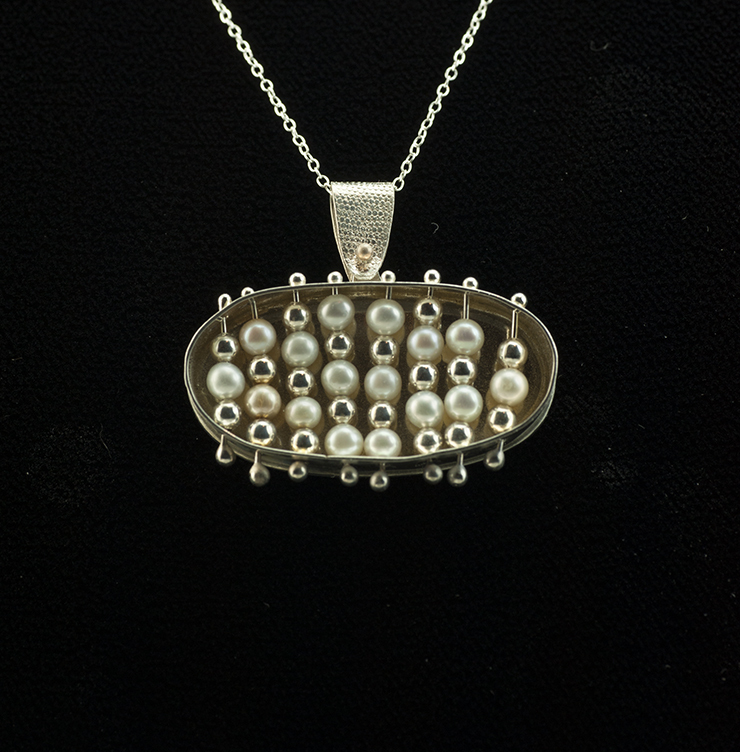 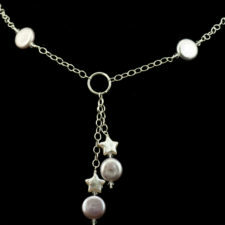 Oval Open Box Pendant – Silver Beads and Pearls: this is a whimsical pendant that I can create in either silver or gold. 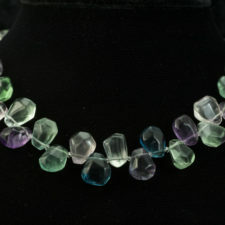 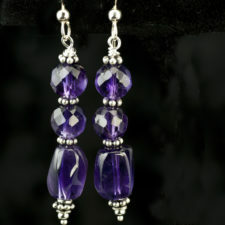 The design is available in several variations. 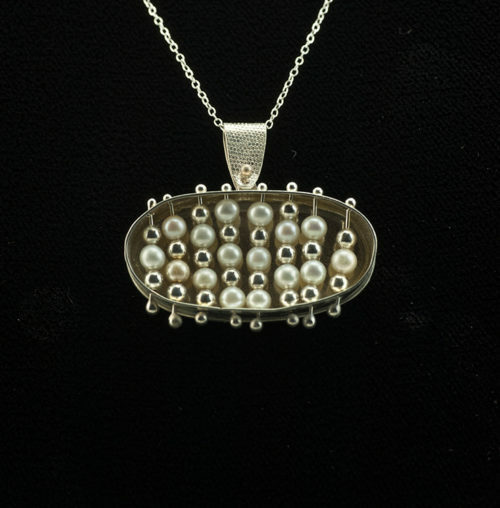 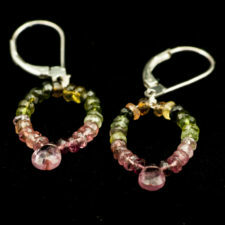 The photos shows an oval setting with freshwater pearls and silver beads, but other gemstone beads or crystals can be chosen. 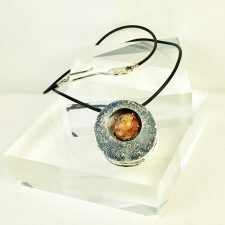 The overall size is about 1.25 inches across x 0.75 inch high x 0.125 inch front to back. 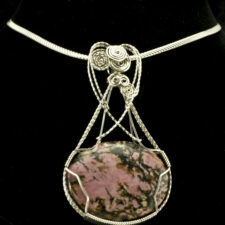 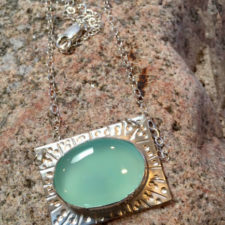 The price quoted is for the pendant as pictured; price will vary depending on the metal and stones selected.